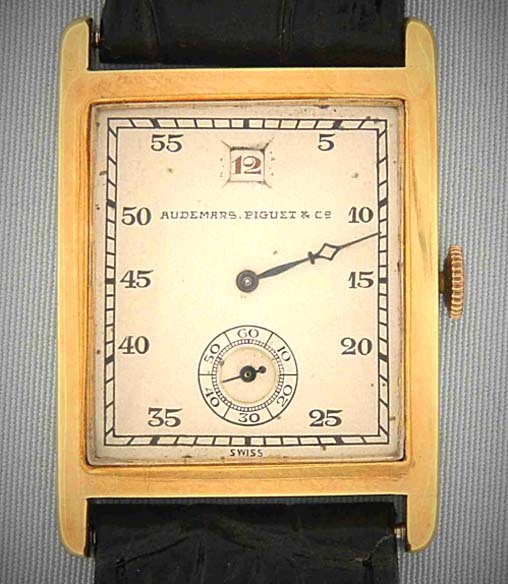 Fine and rare 18K gold Audemars Piguet jump hour wrist watch circa 1925. 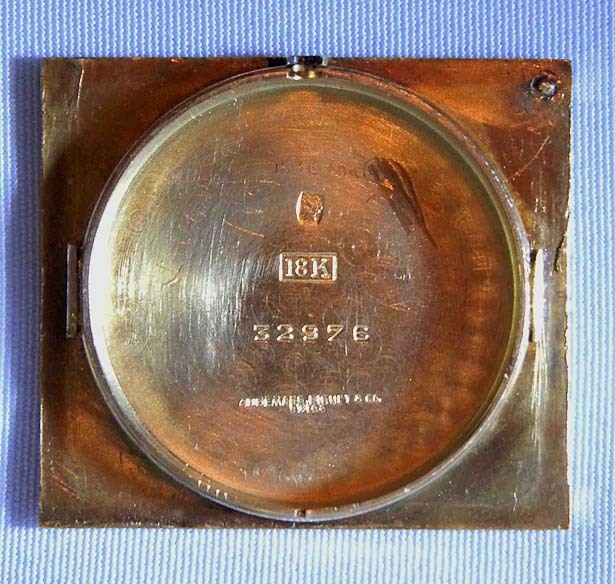 Original silver dial with black markings, blued steel minute hand, and aperture for the red jump hour. 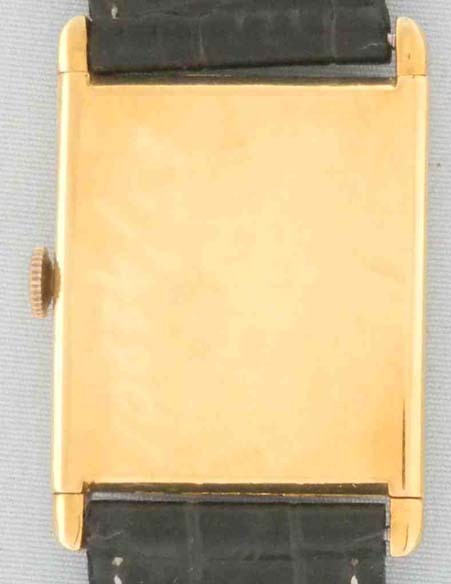 Tank style case. 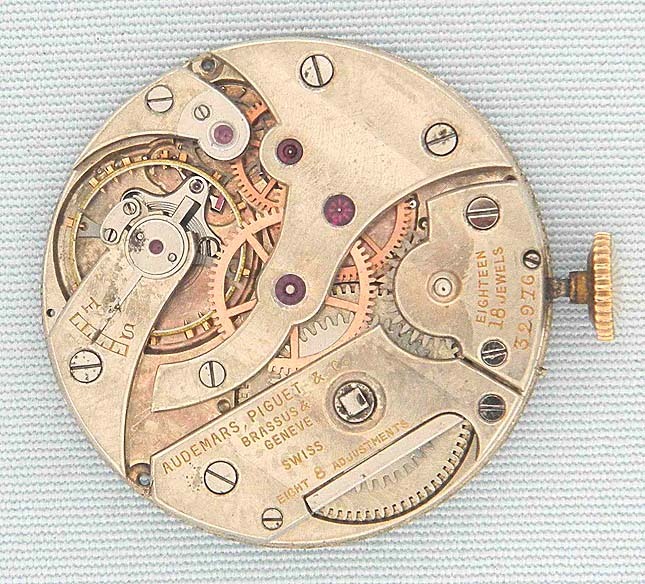 Fine nickel 18 jewel 8 adjustment movement. Handsome.